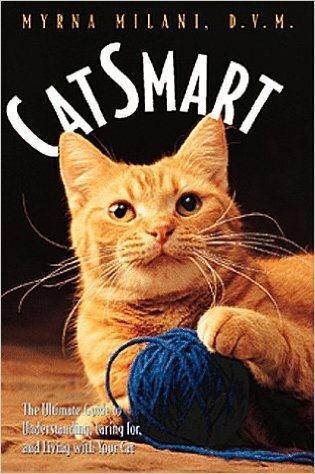 Thomasina's Purrls Of Wisdom About Cats: Is An Alpha Cat Running Your Household? Is An Alpha Cat Running Your Household? Could my calico be an alpha cat, Thomasina? She's so bossy and entitled! I'm an alpha cat! Sometimes... I'm always bossy and entitled. But that doesn't mean I'm always in charge. In our family, the alpha cat changes, depending on the time of day and where we are. Outside, Soda's the alpha cat and keeps cats we don't like away from our territory. He doesn't fight with them. He just makes it abundantly clear that they're not welcome. Inside, Honey is head cat, although it's sometimes hard to tell. She's the oldest and wisest, and she's very good at keeping our lives organized and peaceful. Would You Know An Alpha Cat If You Saw One? I could be wrong about this, but I think you'd recognize an alpha dog if you saw one. But alpha cats are a lot more subtle (How do you like that word? My human typist came up with it!). An alpha cat isn't always the biggest, or the toughest, or a male. Actually, it's usually a female who's top cat. I had to give this some thought because most alpha cats don't leap right out at you and announce that they're in charge. And we have a very loose social structure, so the cat who's running things could change, depending on the time of day or available resources. 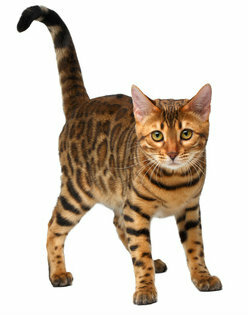 The alpha cat could also change from room to room. Here are some things to look for though. The cat who's calmest (Honey at our house) and most socially mature is usually the alpha cat. Health also enters into it. A cat who's sick might lose her (or his) position as top cat. I don't do this, but in many cat families, the other cats will rub more against the alpha cat than the others. That's how we mingle scents, and everyone wants to smell a bit like the head cat! The top cat is always the most confident. She'll walk into a room and sit right in the middle. Cats following her might walk along a wall and sit off to the side, not because they're scared but because they're of lower rank... at the moment. That could all change when everyone goes into another room or outside. Cats who are new to the family don't necessarily start out at the bottom of the social hierarchy (what the heck is that? The human typist strikes again). A confident newcomer could grab the middle or even the top spot. Some cats might become alpha at meal time, and some might be alpha when another cat wants to use the litter box. See how quickly everything can change! Shy cats will probably never become alpha cats, but that's fine with them. Running a household is a responsibility they don't want. Because our social structure is so loose and flexible, I imagine living with an alpha cat is a lot different from living with an alpha dog. Unlike dogs, who are pack animals, cats are "solitary hunters." We don't need or seek approval from other cats or even our people. We can be just fine all by ourselves. Maybe it's that strong independent streak that can make some alpha cats difficult to live with. I thought up these ways to keep your household as peaceful as ours. 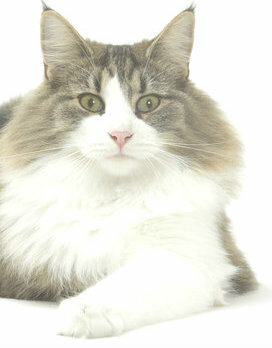 If one of your cats becomes alpha about food, try scattering food dishes and water bowls throughout your house. Then everybody can get to something to eat without competing with anyone else. If all the cats eat in the same room, put their dishes far apart. Like you, we appreciate some elbow room when we eat! And if one cat still insists on pushing the others away from their bowls, gently nudge him back to his own or serve his food in another room. Litter boxes also bring out the alpha in some cats. If you live with many cats, it's a good idea to also scatter litter boxes around the house so there's never any competition and no one gets jumped on while using the box. Let the cats know everyone is equal in your eyes. Give your alpha cat the same amount of attention as everyone else, and play with everyone and brush all the cats at the same time. Just because one of the cats thinks she's running the household doesn't mean she should get special privileges from you! Provide abundant resources, including toys. If all the cats love that Yeowww Catnip banana , get one for everybody. You should see all the bananas we have here! Think about personal space. Every cat needs some. Enough high places for perching and enclosed low spaces for solitude are especially important. Remember, we pick up on our people's emotions. If you're calm, your cats will probably be calm, too. But your being angry and having a major meltdown could bring out the alpha in your cats, and not in a good way. Phew... this has been a lot of dictation. I hope it explains things, Curious Cat Mom. I'm going to go have a chat with Honey now. It's always good to check in with our head cat!